Dropped Elihu off at the airport just before sunrise on Thursday morning. By the time I got home, I was full-on sick. Whole body hurt, skin was hot, nose wouldn’t stop dripping and my head pounded. Really? I get a couple of days to myself and this happens? Elihu had been really walloped by something last week, and I’d been marvelling over the fact that I managed to escape the same fate. I was even bragging a bit to my young son about my robust and seasoned immune system, and how at least my advanced age had some benefits… Ha! That’s ok. While I had originally thought I’d at the very least get an errand or two done, I have done not one thing but sleep – or sit in this chair, blow my nose and follow tangents across the virtual world. But honestly, it’s been interesting, and I’ve learned a few new things. And it’s not just sour grapes talking; the past two days have been a rare treat in some way. Last year when I got my annual cold, I’d read several books cover to cover, again not something I seem to find time for in my life as usual. So I suppose it’s all for the better. Everything in its time and place, I guess. This pounding headache is getting old, but the vast encyclopedic universe at my fingertips has helped to distract me (so too has assembling this post). And so now let me offer a little photographic retrospective of our past week…. 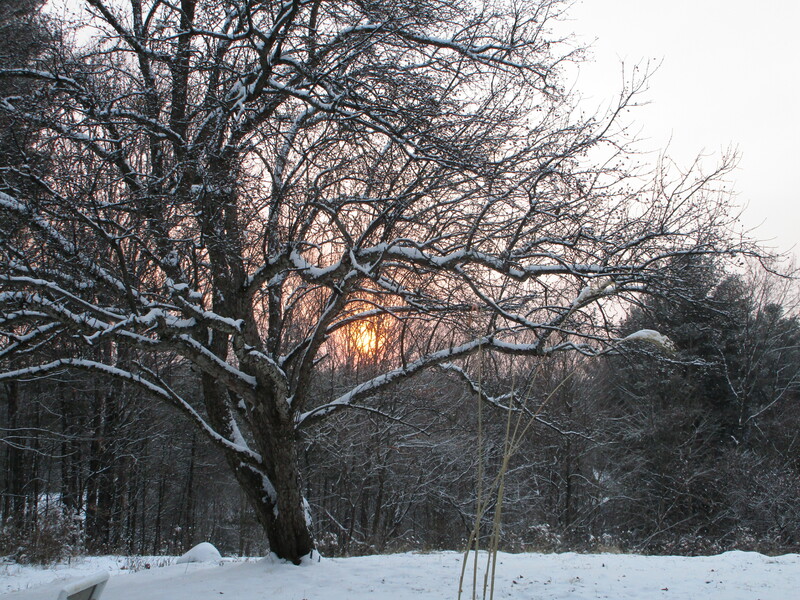 When the sun rises behind the branches of the apple tree I know we’re nearing the end of winter. In December the sun rises further to the right – almost at that clump of pine trees. The sun will end up rising at the far left side of this frame by June. Amazing. Never knew how much the sun’s rising and setting points moved throughout the year until I lived here in the country. 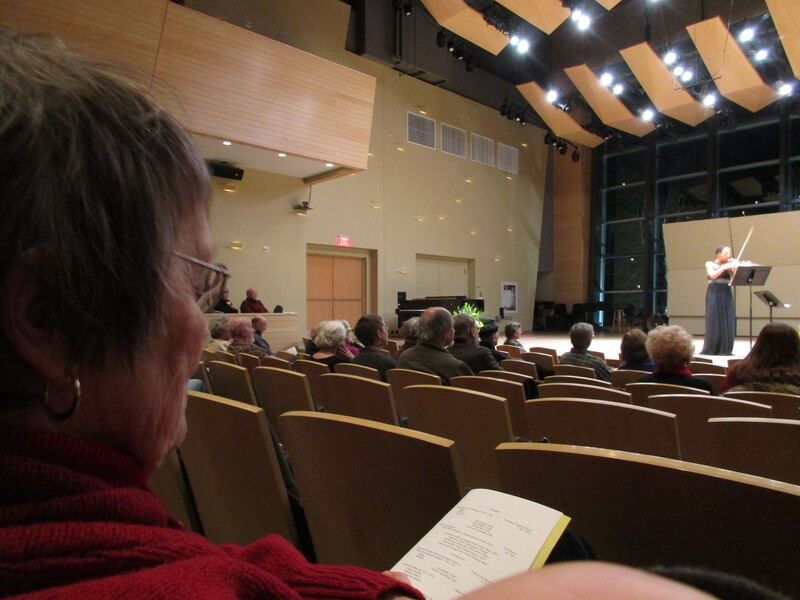 One night when Elihu was plumb sick and out cold, mom and I went to the nearby Zankel Music Center at Skidmore College to hear the Ensemble ACJW (a group from Julliard) perform some Mozart and Beethoven. I was feeling a bit guilty to be out, so we left at intermission. I feel so lucky that we have this gorgeous hall only five miles from our door. Mom had a good chuckle – and I had a revelation – when I was charged a senior admission price. !! Hey – close to home and reduced admission? I’ll take it. 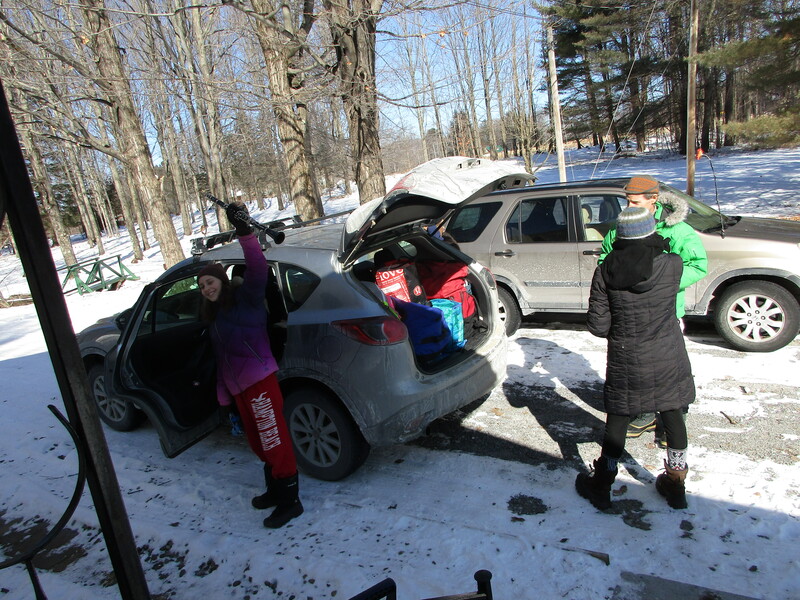 Each year at this time some friends come to stay with us so that they can play music and dance at the Flurry – an enormous festival and gathering here in Saratoga Springs that’s now it’s 29th year. 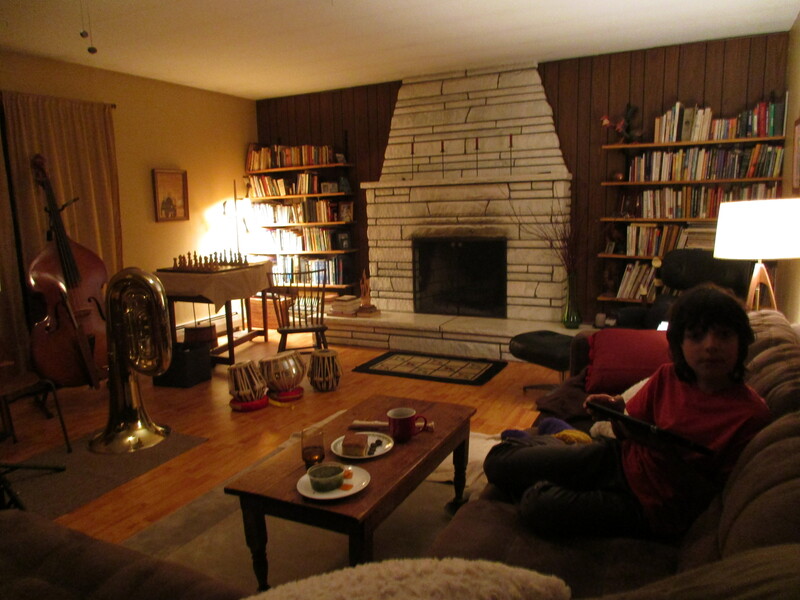 It’s a nice feeling to have guests in the house. I rarely see anyone else at my kitchen sink. 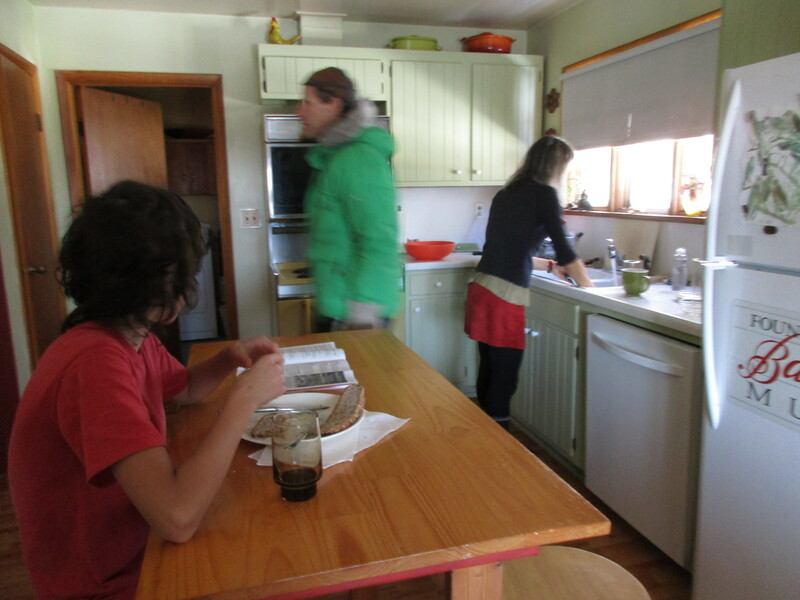 And look – Sherry’s even washing the dishes! 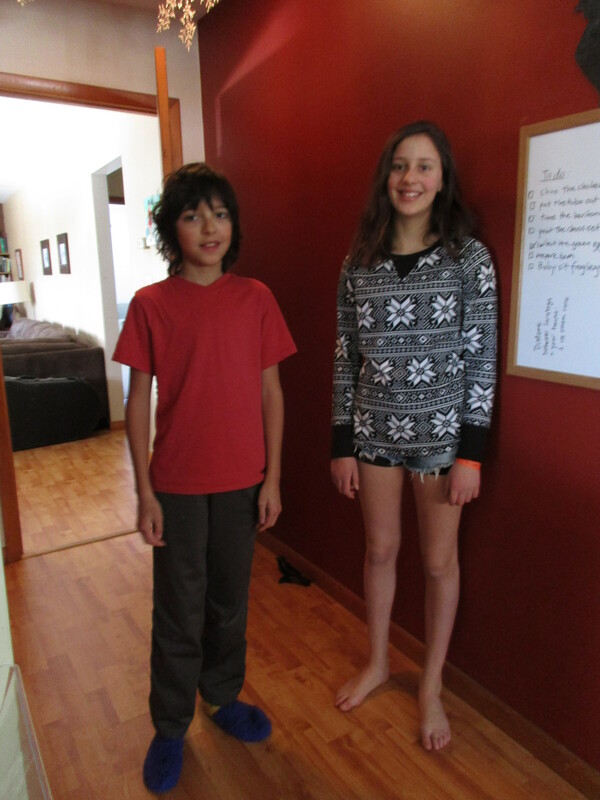 Elihu and Evaline are just a few months apart in age, and have known each other since they were small. 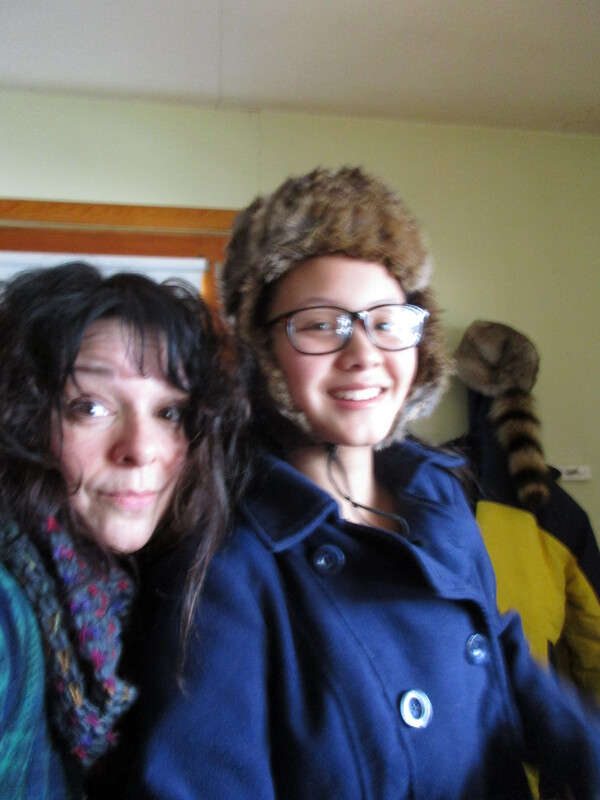 She’s as tall as me now. Our friends also brought along pal Sele, who was born in Bhutan, and who now lives in Albany. Her family had to flee their country, and lived for several years in a refugee camp in Thailand. I can’t begin to imagine what she’s been through. She is a good example of why we as Americans must always accept fellow human beings of any nationality with open arms. Evaline waves goodbye with her clarinet. 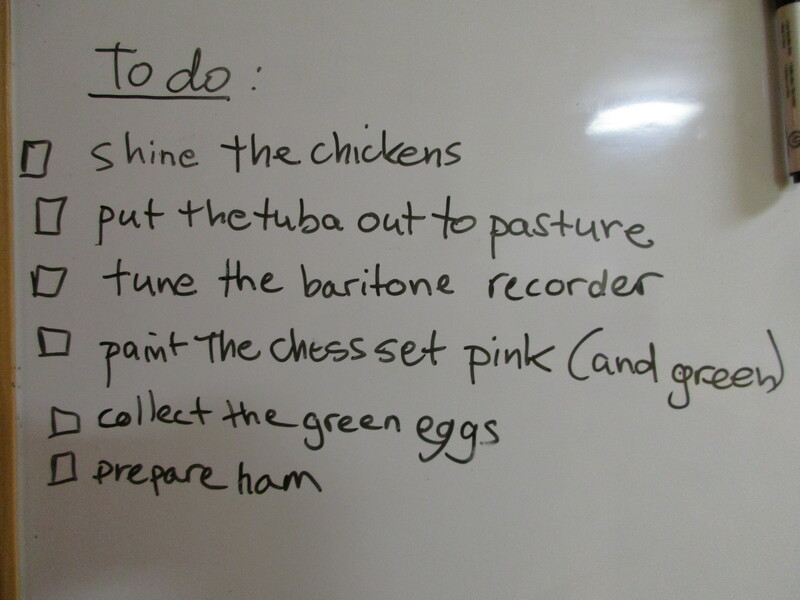 They left us with an amusing to-do list. Ah, but this is what we two do best. Cozy life at home. Doesn’t happen often, but it’s heaven on earth when it does. 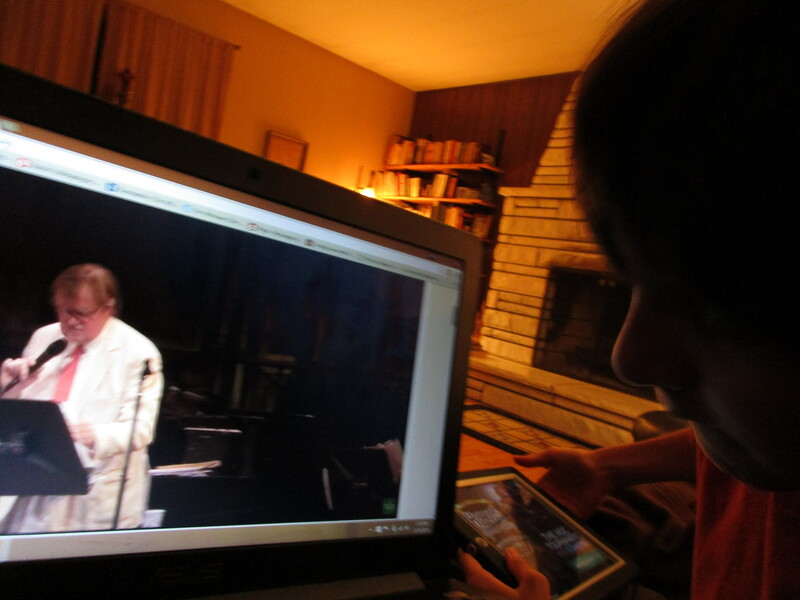 Elihu and I have been listening to A Prairie Home Companion together since he was little. Since Garrison will be retiring (who thought such news could break the heart of a twelve year-old boy?) we decided to watch the live video streaming. We both agreed. Not the same. Kinda took away from the experience. It was fun to see two old friends from Chicago who played in the band, but for the few remaining shows we’ll stick to the radio broadcast. 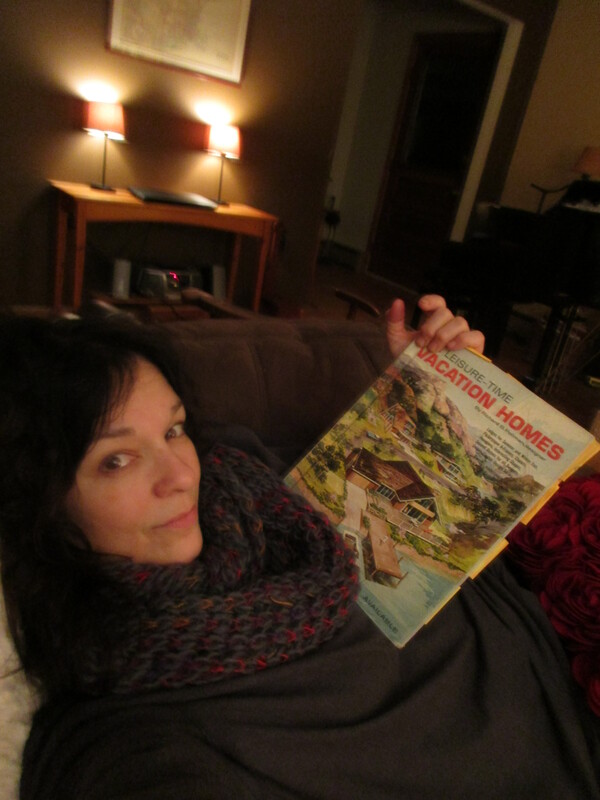 My favorite couch material – vintage, mid-century floor plans. Cannot get enough. 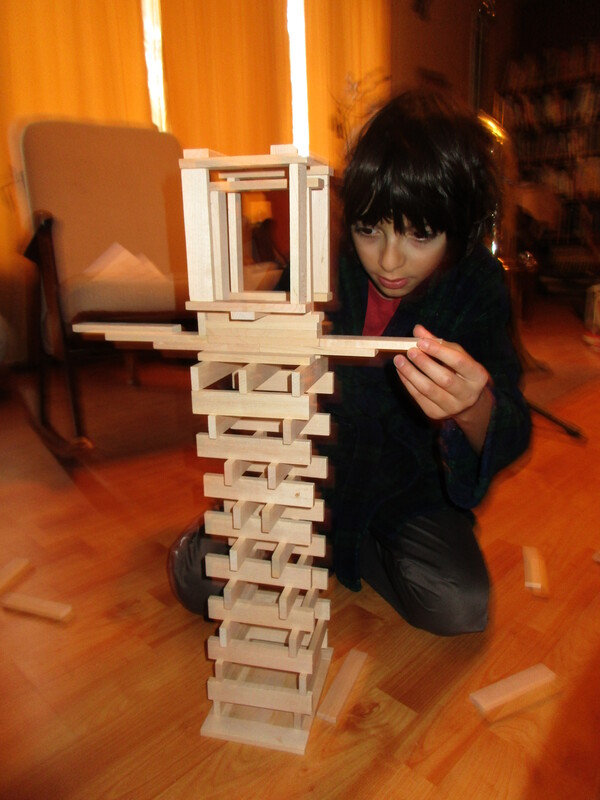 Building blocks – or more accurately, Keva planks – make for other cozy living room activities. 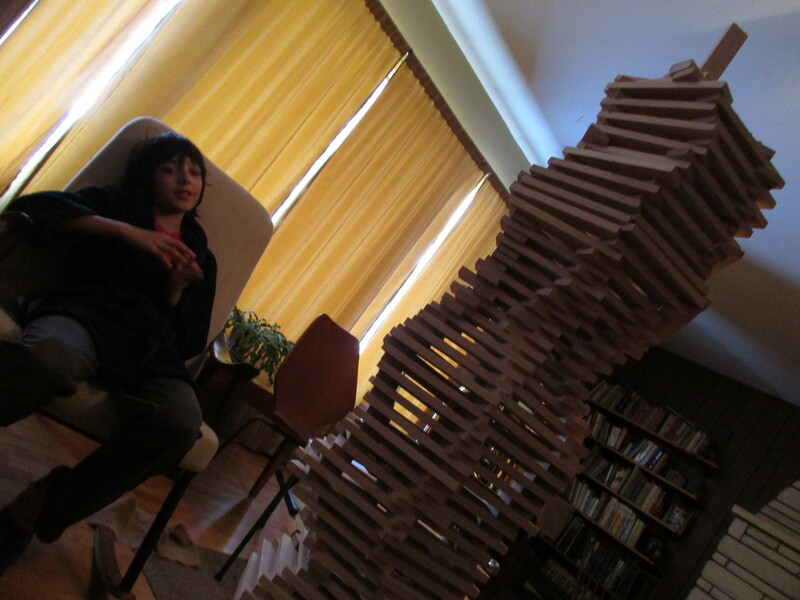 Elihu sits back and enjoys his work. 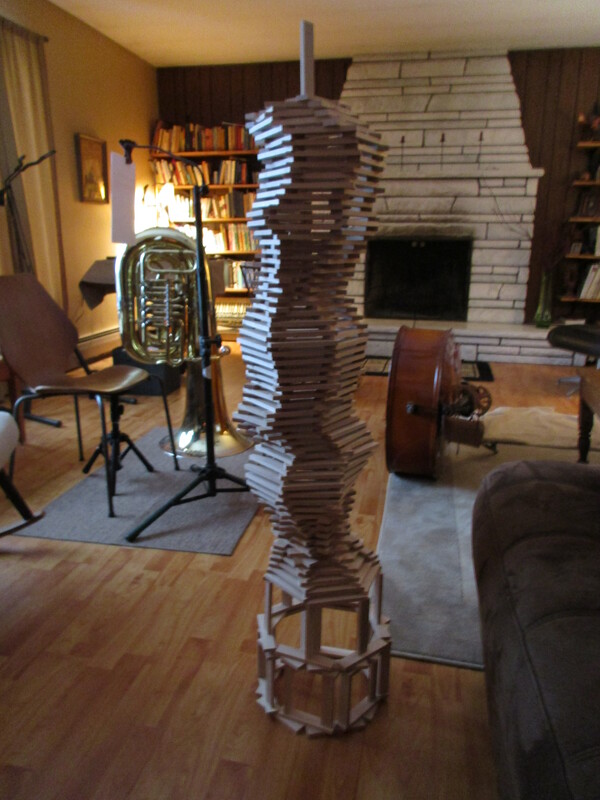 This structure used all 400 pieces. 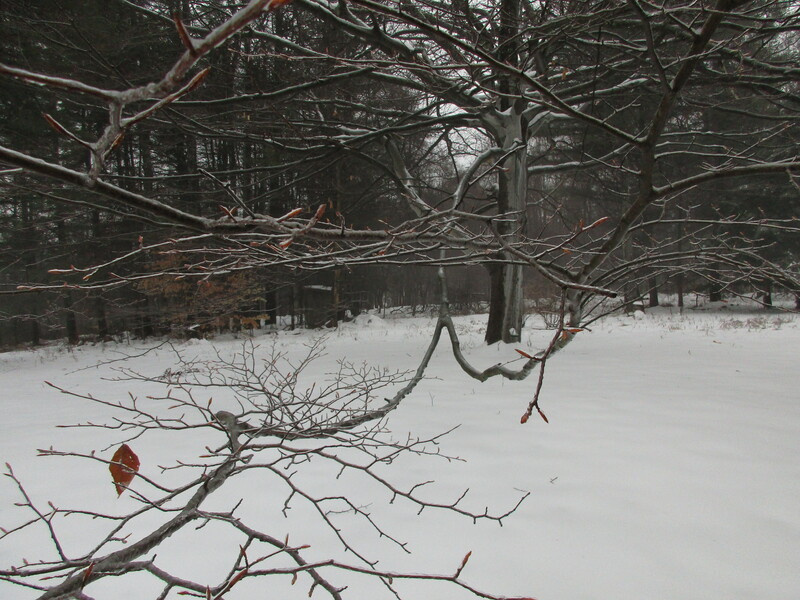 The branches of this huge beech tree spread some 30′ out from the trunk. It’s slowly dying, and has lost most of the top branches. It so defines the space here; we’ll miss it one day. But we’re enjoying it now. 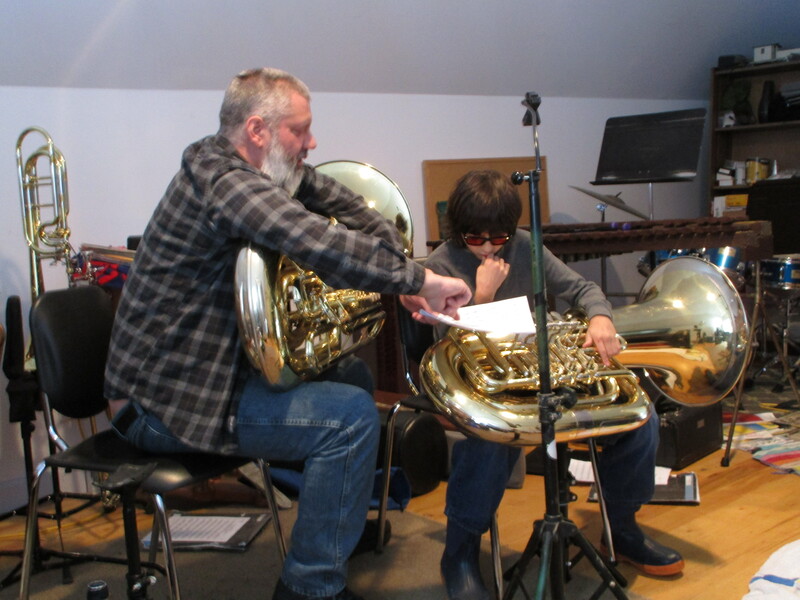 Elihu continues to love his tuba lessons, although he doesn’t practice nearly as much as he should. I find that naturally talented kids often don’t work as hard as kids for whom things don’t come as easily. This is a point Mike and I both made loud and clear. It’s time for me to step up too and apply a little discipline. 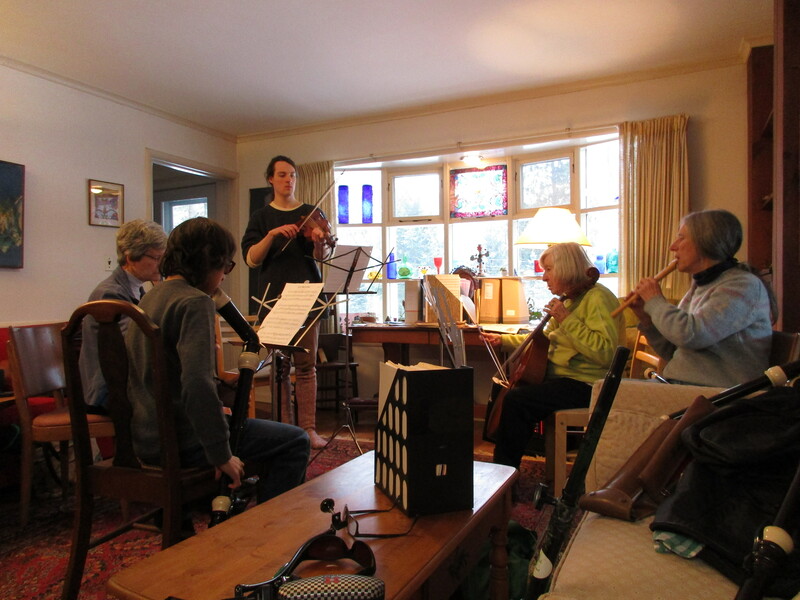 Betty plays tenor viol here, and Elihu plays his bass recorder. He took a spin on the soprano and turns out – he doesn’t know his treble clef! Who knew? 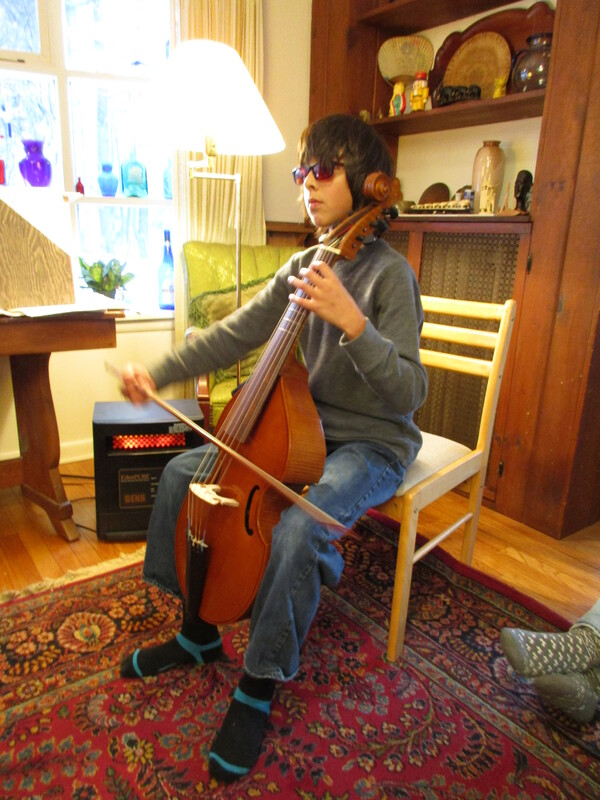 Usually kids have a hard time with the bass clef – and this kid is so adept at playing that I had no idea. Ok. “Learn notes on treble clef” on next week’s to-do list. He’s getting it. 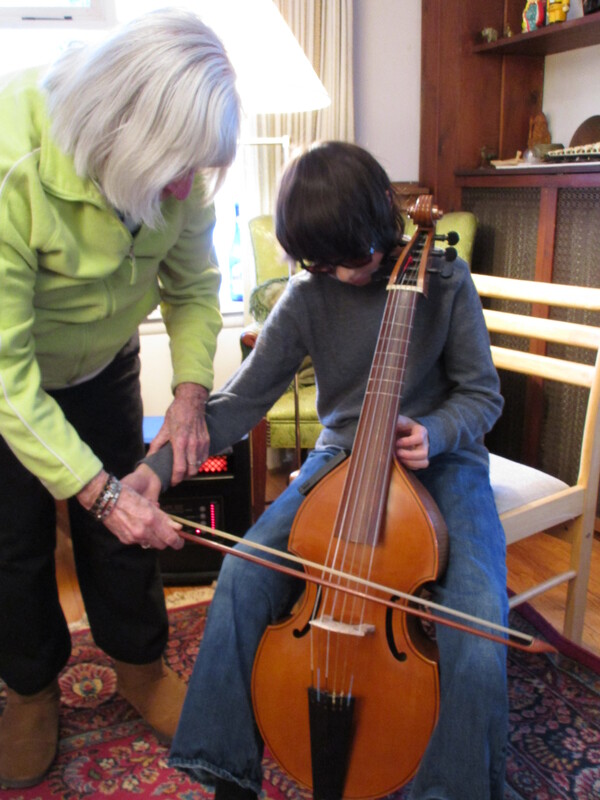 Betty kindly offered to loan us her other tenor viol – but I told her we’d take a raincheck. We have more than enough on our plate! 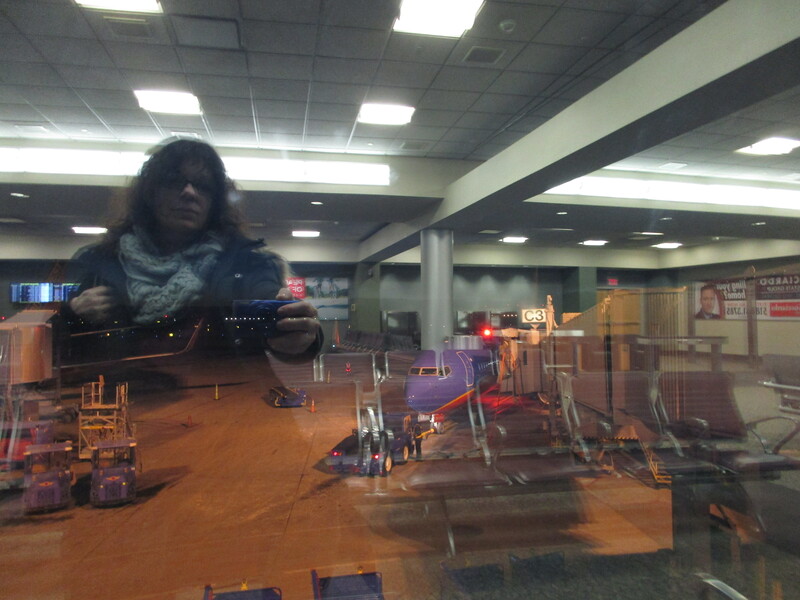 Elihu had an early morning flight – and the wheel on his suitcase was busted. 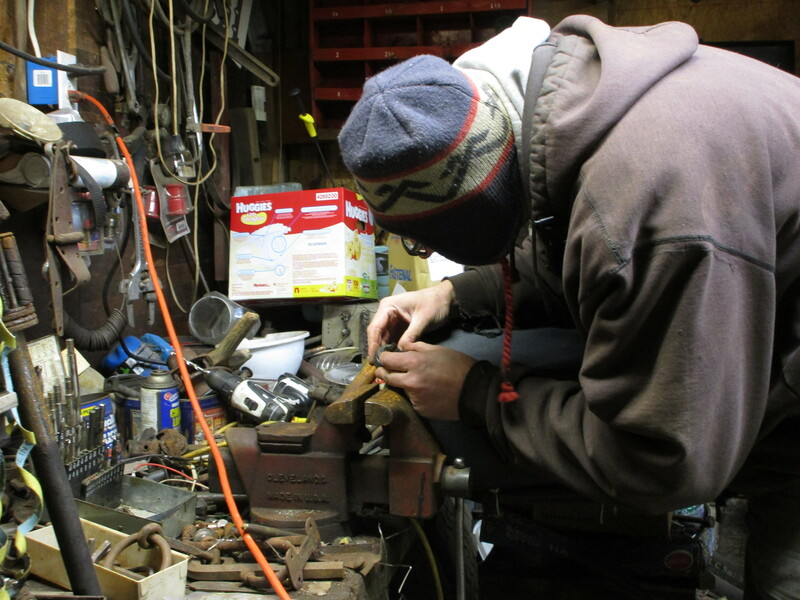 We made a quick stop at neighbor Zac’s miracle shop where he cobbled a new one in front of our eyes. Elihu and I absolutely cracked up at Zac’s nonchalance and impeccable skills. He has no idea how simply brilliant he is. 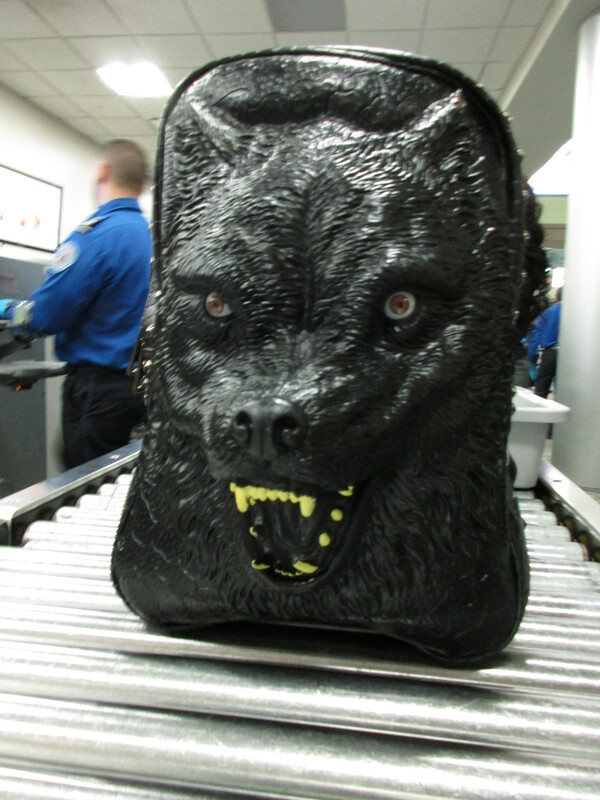 Spotted this on the belt right behind us at the airport. 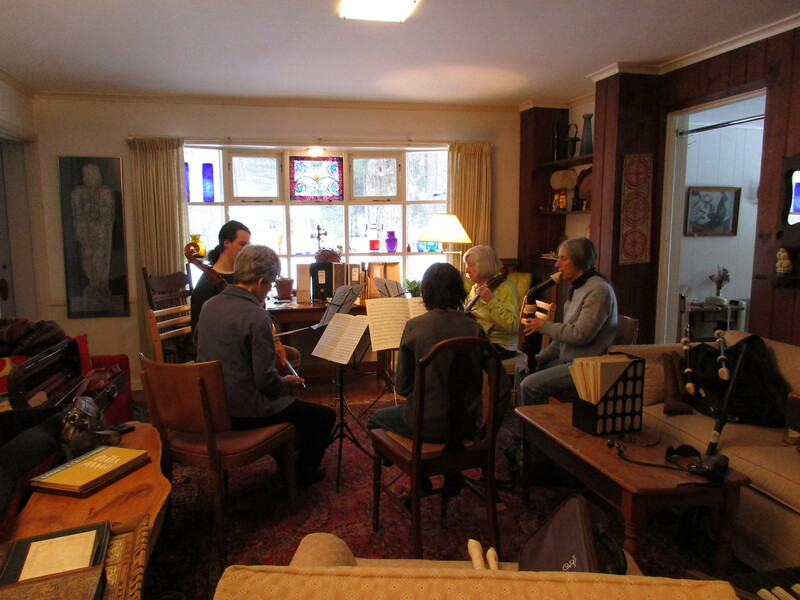 Having recently connected with John Kay of Steppenwolf (he has Achromatopsia, went to the Waldorf School and is a musician and nature lover. See any similarities?) I shared this pic with his wife, a nature photographer and fan of things wolf-related. …and then, he’s gone. I suppose if I were to get sick, now would be a good time. 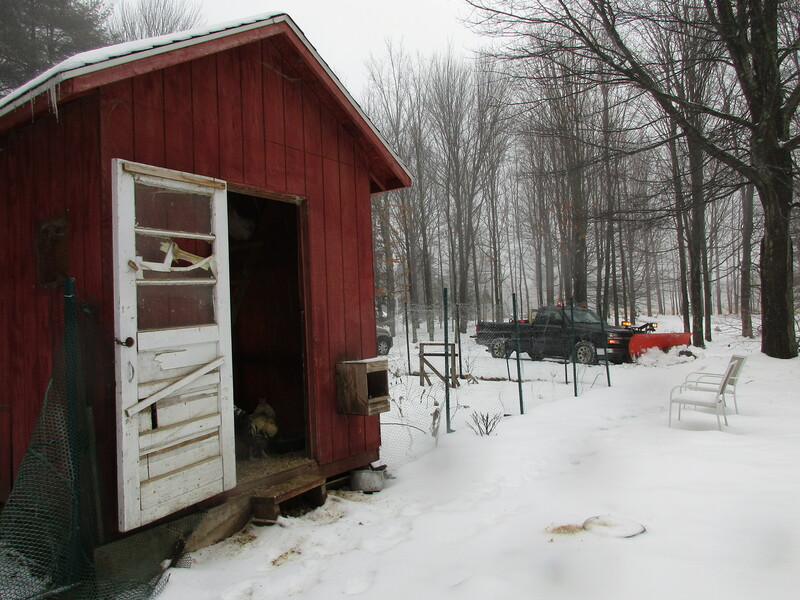 No one needs me right now (except the chickens). What’s a couple of days out of the game? We’ve done a lot recently, I’m making some progress with the Studio, and things are pretty much chugging along as they should. Another day’s rest and I’ll be renewed and ready to jump back in. Not sure anyone will even know I’ve been gone. Ah, the ancient ‘talent vs hard work’ debate… My ex is a very successful guitarist for whom music did not come half as easily as it did for me. He couldn’t even sing the harmony to an Eagles tune. I would laugh at him as he counted up the pitches in his head…. He used to say if a person could have my talent and his work ethic, now there would be a formidable musician indeed…. I have stepped up a time or two in my life – had a few chapters of deep shedding and new breakthroughs. But for the most part, I admit it. I am lazy. I love the feeling of playing something well, and that motivates me thru the hard parts, but left to my own, I’ll admittedly coast. And I know from coaching my students that talent alone isn’t enough. While I think talent does need work to support it, I also think (or used to until I heard your video) that someone who starts with nada is almost without hope, cuz it’ll take a LOT of focus to make up for the missing ‘thing’. Do you feel you had no affinity for the skills you list? You do all these things so well now, it’s hard to believe you had no gift… I suppose desire factors in here too…. When I have the desire, I find the resolve to put in the work. When I don’t want it, mech. A little anecdote here: I used to teach Michael Jordan’s son, Jeffrey. Poor kid had a lot on his plate, and I think he’d been told to take piano. He also had a natural gift for basketball. Thing was, he was one of the very few students I’ve had thru the years who truly had a natural talent for music. When he finally stopped taking lessons – in favor of sports – it made me sad. (Also, he had a wonderful sense of humor and in our lessons we were often laughing.) I understood he had to choose, but given how seldom I come across a ‘fully loaded’ kid, this was a disappointment. Yeah, I think both are important. But you’re probably right, hard work is the more important of the two. But still – there’s no substitute for that ‘thing’. Question: How is it that you desired to do things that didn’t come easily/naturally? It has never occurred to me that a person might endeavor to do something that didn’t come naturally (to some degree). But I guess I can understand that idea when I consider my lifelong desire to surf or ski – I’d very much like to do both with some success before I die (even though this would be an extreme physical challenge for me), and if given the infrastructure to do either, I do think I’d give it my all. Oh aren’t bodies just amazing – the way they hold on until it is the time to crash? 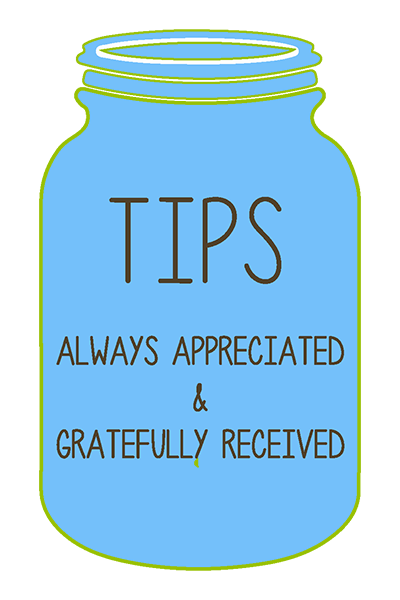 I always marvel that we hold out through stress and strife until school holidays and then BAM, out for the count lol I do hope you get better, make sure you nurture yourself and properly convalesce….it is a lost art nowadays. Yes – it is rather amazing (and suspicious!) how one’s body just kinda saves it all up for a more convenient time to get sick. Kinda crazy, but that seems to be true. And I agree, the art of resting and convalescing is almost forgotten. Actually, I rather enjoyed the free-form nature of my three sick days. I hated the fever and such, but I surfed the world and learned a lot. Wouldn’t have done so otherwise. And I slept… Aahhhh. Funny that you like those books too! How to pick the perfect bungalow – hilarious! My last real home was a stunning split level, built in 1955 – and it looked rather like a museum. Everything in it was from an estate sale or junk shop. But it was gorgeous. It was heartbreaking to sell most of the contents to move here. However – I have culled the very best pieces and combined them with our true antiques (100 years or older) and the result is very appealing. Folks always notice. Boomerangs! Classic! Love that :D Yes, I agree…..much like Winter it is easy to wax poetic about it as we don’t have to live with its harshness. If I find myself getting to romantical I simply turn to the chapter on doing laundry…EEK!